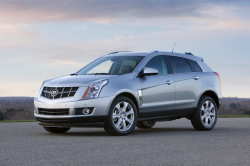 General Motors files motion to dismiss Cadillac SRX headlight assembly class-action lawsuit. July 30, 2018 — A Cadillac SRX headlight assembly lawsuit doesn't meet the legal requirements to proceed as a nationwide class-action lawsuit, at least according to GM's motion to dismiss the complaint. Plaintiffs Christine Davis, Anna Macias and Leonardo Macias claim the headlight assemblies must be replaced because moisture and condensation cause the headlights to fail or be too dim to drive at night. According to the lawsuit, water enters the housing units and corrodes assembly components such as the ignitors, causing electrical shorts and failed bulbs. The plaintiffs claim the headlight housing unit seals wear out and allow water and condensation to build up due to air that moves through the vents. But the plaintiffs also claim the vents are defective because the flow of air through the defective seals is blocked. A customer who takes their SUV to a dealer will allegedly be met with the option of General Motors replacing the headlight assembly with one just as defective as the original. The plaintiffs claim this is an expensive option when customers are left with the bills. In the case of Mr. and Mrs. Macias, they were allegedly told repairs for the headlight assembly would cost $1,500 after the low-beam bulbs failed. Mrs. Macias says she called the corporate offices of Cadillac and was told to search online for a genuine Cadillac headlight assembly to use as a replacement because the cost might be less than the $1,500 she was quoted by the Cadillac dealer. The plaintiff says that's what she did, but the genuine assembly was as bad as the original so the replacement was removed and the original headlight assembly was put back into the SRX. Plaintiff Christine Davis says she purchased a used 2015 Cadillac SRX in August 2016 from a Cadillac dealer in Florida, and although she didn't claim the headlights failed, Davis did claim the SRX headlights were dim and holding water. The plaintiff says she took the SUV to the dealer on two occasions for free repairs, but she is scared the headlights may fail at any time without warning. 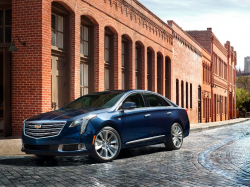 The proposed class-action lawsuit consists of all “individuals in the United States who purchased or leased, in the State of Florida, any 2010-2015 Cadillac SRX vehicle” for violations of the Florida Deceptive and Unfair Trade Practices Act. In its motion to dismiss, General Motors denies all the allegations and argues the plaintiffs failed to “state a claim upon which relief can be granted.” GM's lawyers argue the court where the lawsuit was filed does not have jurisdiction over the non-Florida claims for a nationwide class of SRX owners and lessees. The automaker also says "federal courts have uniformly held that express and implied warranty claims cannot be certified on a nationwide basis because of the significant legal variations among the 50 states’ warranty laws." 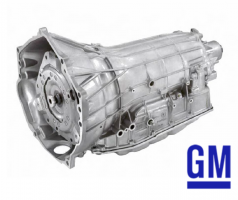 GM says allegations it violated the Florida Deceptive and Unfair Trade Practices Act fail because the plaintiffs didn't provide specific facts (the “who, what, when, where, and how”) required to support their claims. Instead, GM says the plaintiffs repeat the same fraud-based “buzzwords” throughout the headlight lawsuit but "cannot hide behind generic boilerplate allegations." 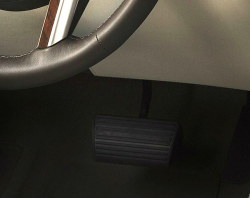 The automaker says one plaintiff purchased a used 2011 SRX in 2014, and the other purchased a used 2015 SRX in 2016, causing GM to argue the alleged acts of fraud "cannot plausibly be the same for both of them." 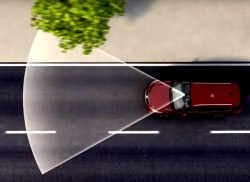 In addition, the lawsuit has a section called “GM Has Actively Concealed the Headlight Defect,” but the automaker told the judge the section doesn't mention anything about the plaintiffs. GM also argues specific claims mentioned in the lawsuit are about unnamed GM dealerships that "allegedly misrepresented repair information to unnamed customers after the vehicles had been purchased." 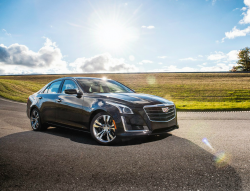 Additionally, Mr. and Ms. Macias’ fraud claim is allegedly barred by the four-year statute of limitations, and GM’s written warranty does not cover design defects. The plaintiffs allege General Motors violated implied warranty laws, but GM argues the plaintiffs have not alleged they had a legal relationship with GM. Because the previous claims allegedly fail, GM says implied warranty claims under the Magnuson-Moss Warranty Act also fail. 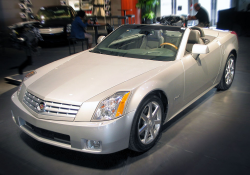 The Cadillac SRX headlight assembly lawsuit was filed in the U.S. District Court for the Middle District of Florida, Tampa Division - Christine Davis, et. al, v. General Motors LLC. The plaintiffs are represented by Berger & Montague P.C.